Race the 2015 1/8 Nitro ROAR Nationals track at Silver Dollar R/C Raceway with VRC! 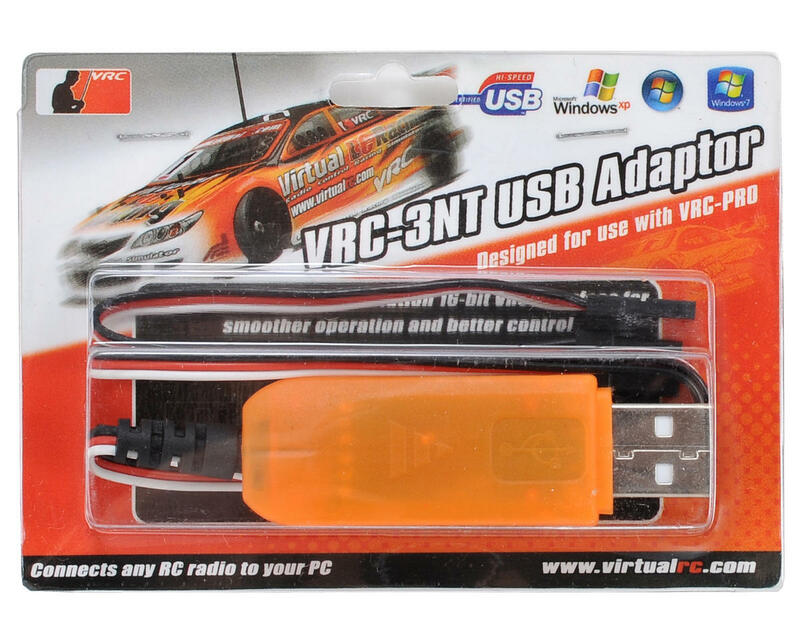 This is a Virtual RC VRC-3NT 2.4GHz USB Transmitter Adapter, and is intended for use with the Virtual RC racing simulator. 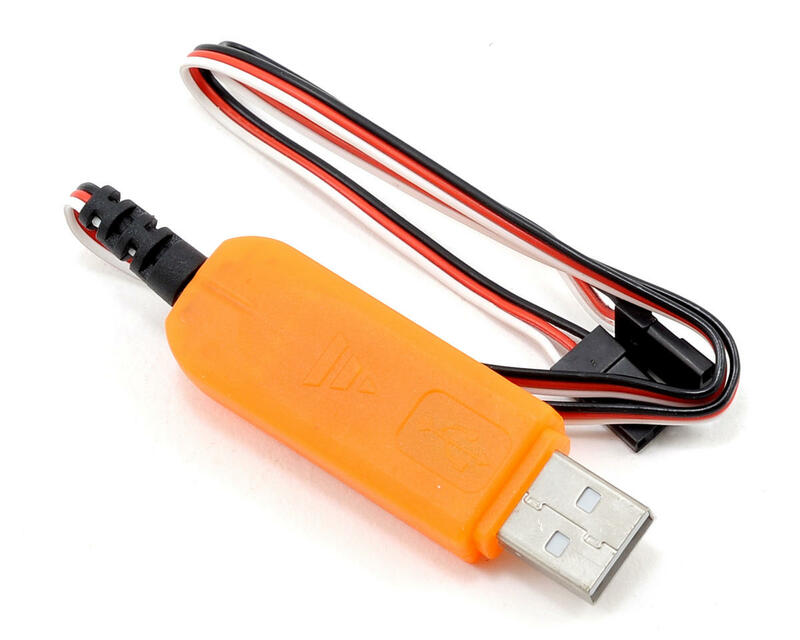 The VRC-3NT USB adapter is the successor of the VRC-2 adapter and allows you to control the VRC game using your own 2.4GHz transmitter, as well as standard radios and receivers. Just hook up your receiver to the servo cables of the adapter and plug the adapter into your PC or notebook. The VRC USB adapter is absolutely plug-and-play, and the micro-processor controlled adapter and receiver are powered through the USB port, so no receiver battery is required! With its 16-bit resolution and specially designed Native Technology, the VRC-3NT gives you superior control and is a must have for the serious VRC racer. Download the game and play at vrcworld.com. For what it is, it works incredibly well. Not only does it allow you to simulate driving in VRC-PRO, but in both OS X and Windows it shows up as a normal two-axis game controller. I've played Dirt 2, F1 2012, and GRID using my Spektrum DX3R and it's so much better than a normal game controller. However, the actual USB port is extremely flimsy and will break away from the PCB with even a little stress. I'd recommend possibly putting a glob of shoe-goo or epoxy on the USB contacts to reduce the chance of them breaking away. It works with my Futaba 4PX and my Futaba 4PLS controllers and receivers but it broke with in 2 months of very limited use. The micro chip inside is not the problem. The weak connections are. I have had 4 break in about 4 years and I am not on my 5th one. I took the last one apart and the solder tabs that connect the chip to the USB are weak but even weaker is the chip itself. This one is broken as well but still works. The chip broke between the chips soldering tabs (4) and the USB. I am starting to think they are getting to hot during manufacturing. It does what it is supposed to do when its not broke. It's a great game and you really need the transmitter adapter to appreciate it. You also need a decent PC to run the game on or it will not run smooth which totally ruins the experience. The adapter works perfect, but it isn't really a high quality/durable feeling thing. I just leave the adapter and rx plugged in tucked safely behind my computer all the time, never had any issues.